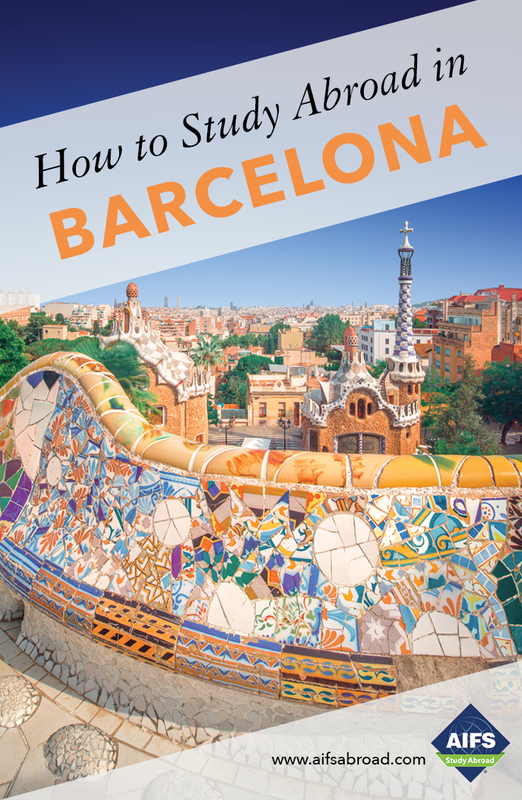 Included in your program fee are a range of day trips and a 3-day excursion which will take you outside Barcelona and deepen your social, historical and cultural understanding of Spain. You will visit Cadí National Park, the most remarkable area of the Pyrenees Mountains, dividing Spain and France. The smell of pine trees and the sights of the Berguedá Mountains are a refreshing escape from the hustle and bustle of Barcelona. Includes transportation, accommodations, breakfast and entrances to the National Park. A walled city of Roman origin, Girona is located at a strategic point on the route between the Pyrenees and Barcelona. Its narrow cobblestone streets and spectacular monuments and museums make it a visit to remember. Besalú is a beautiful medieval village of stone houses and squares that take you back in time. Its most well-known monuments are the bridge, the miqvé or Jewish baths and the church of the Sant Pere. In 1966, Besalú was declared a “National Historic-Artistic Ensemble” due to its high architectural value. Morning visit to Figueras and the Teatro Museo Dalí, one of the most visited museums in Spain, where Salvador Dalí one of the 20th century’s greatest artists worked and is buried. Many of Dalí’s most famous works are on display, including Rainy Taxi and the Mae West Room. Visit the Benedictine monastery of Montserrat, located 2,400 feet above sea level and Catalonia’s most important pilgrimage site for more than a thousand years. See the 12th century carving of the Black Virgin. In the afternoon travel onward to the former fishing village of Sitges, now a thriving, cosmopolitan beach resort, offering excellent beaches, restaurants and museums, located 30 minutes south of Barcelona. Students have free time to explore the town or enjoy the beach before returning to Barcelona. Included for students on the AIFS flight package only. Begin your semester with a 2-night visit to London en-route to Barcelona. This will allow you to relax, recover from jet lag and get to know your fellow classmates while touring England’s capital. Includes accommodations, airport transfers, breakfast, sightseeing tour and AIFS Tour Manager. Round-trip flights from Barcelona to Morocco are not included. Students will be advised of which budget flight to book once in Spain. A minimum enrollment of 15 students is required for the tour to run. Please note that if you are not a U.S. citizen traveling on an American passport, you may need to arrange a visa to visit Morocco before traveling to Spain. It is your responsibility to check visa requirements. The province of Andalucía in the south is quintessential Spain - white washed villages, fields of olive trees and orange tree lined squares. Visit the colorful city of Seville, explore the labyrinth of narrow streets of the Barrio Santa Cruz, the old Jewish quarter of the city and climb up the Giralda tower. Next day travel to Granada - home to the Alhambra Palace and Generalife Gardens, a World Heritage Site and Spain’s jewel in the crown. Discover the winding streets of the Albaicin neighborhood, the ancient Arab quarter of Granada before returning to Barcelona. Fee includes transfers, accommodation, breakfasts, local guides, entrance to the main monuments and the services of AIFS staff to accompany you. Flights are not included. A minimum of 15 students is required for the excursion to run.